If you’re like most people, your computer has everything on it. Files for school, files for work, family photos, personal files, etc. It’s all there. And if you don’t back it up, those important files could disappear forever. All it takes is one spill or crash, and all of those files are gone. All the hard work and memories will go away for good. And often times there’s nothing you can do to get them back. We’ve seen it happen before and it’s sure to happen again. To prevent yourself from losing everything, you need to backup your computer. And you need to do it often. In this article, we’ll discuss the various ways you can create a backup in Windows, including automated cloud backups and physical hard drive backups. Take our advice and backup your files. 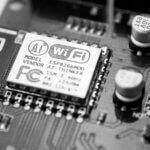 Use one of these techniques to ensure that everything is safe. How Do I Back Up My Computer in Windows 10? If you haven’t upgraded to Windows 10 yet, you should. Not only is it Microsoft’s most powerful operating system yet, but it’s also super easy to back up. Microsoft understands that data safety is important. That’s why they included a system image backup tool in all of their latest upgrades. This feature makes it easier than ever to clone your PC and keep your files safe. 1. Connect your external hard drive. If you don’t have an external drive, get one. This is the easiest and most efficient way to create a backup. Do yourself a favor and buy a hard drive with at least a few terabytes of storage space. That way, you’ll have plenty of room to store your files. Got your drive ready? Okay, let’s move forward. 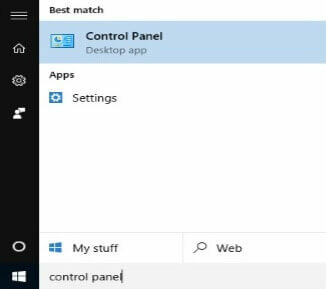 You can access the Control Panel by clicking the Start button and typing “Control Panel” into the search bar. In the Control Panel, you should see a Systems and Security section. In the column below that, there should be a Backup and Restore link. Click that. *Ignore the fact that it says “Windows 7” in parentheses after Backup and Restore. For some reason, Microsoft included this on every version of Windows 10. Strange choice, we know. But, it won’t revert your OS back to Windows 7 or anything like that. 4. Click the Create a system image option on the left side of the window. Windows will ask where you want to save your backup. Choose On a hard disk and select your external hard drive from the options. 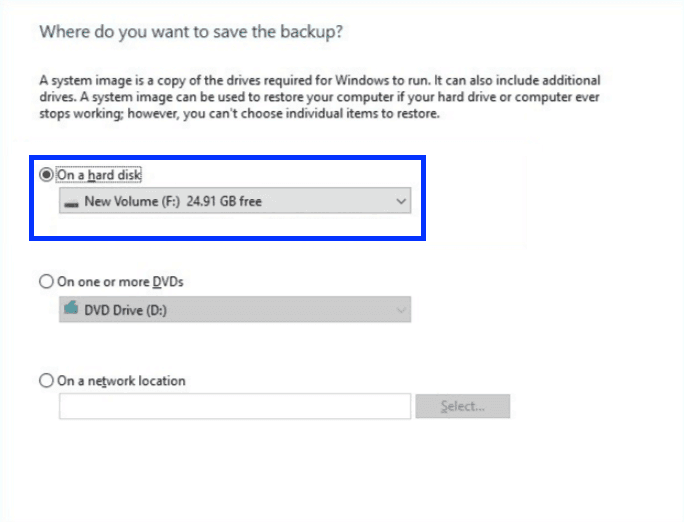 After you’ve selected your desired storage drive, Windows will give you the option to begin your backup. Click Start to initiate the process. 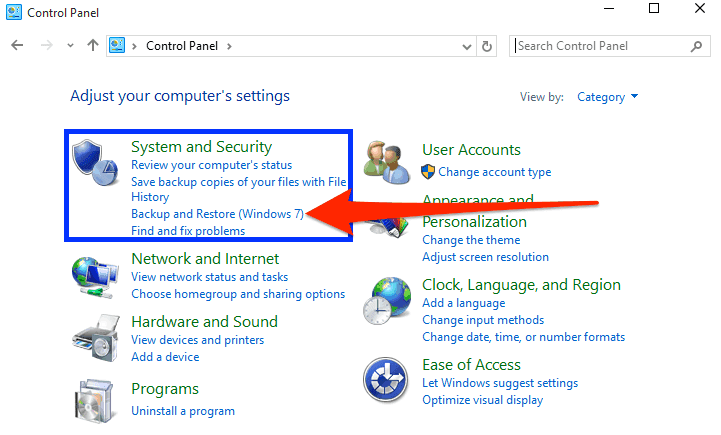 After you click Start backup, Windows will create a complete copy of your system and hard drive. This includes all of your files, your preferences, and even Windows 10 itself. The great thing about this operating system is that it’s equipped with Shadow Copy. Essentially, this is a program that can copy files while they’re still open. So, you can use your computer freely while the backup is in progress. And, you can use your system image copy to transfer everything to from your old computer to your new computer. Using Windows 10’s File History feature, you can easily restore your entire copy on another computer. How Do I Back Up My Computer in Windows 7 or 8? 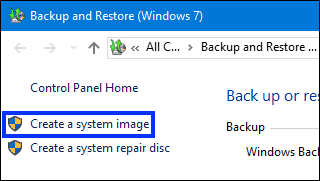 The system image backup tool works in both Windows 8 and 7. Follow the instructions above. The interface may look slightly different. The process is the same, though. 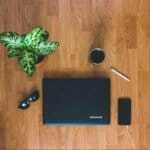 You’ll plug in your drive, create a system image copy, and store it all on your external. When it comes to backups, an external hard drive is the way to go. They give you solid access to storage that will back up your computer every time you plug it in. But sometimes, you may want to back your computer up to the cloud, as well. That way, you can always be sure that there’s an extra copy of your files out there if you need it. Luckily, Microsoft makes it super easy to do so. 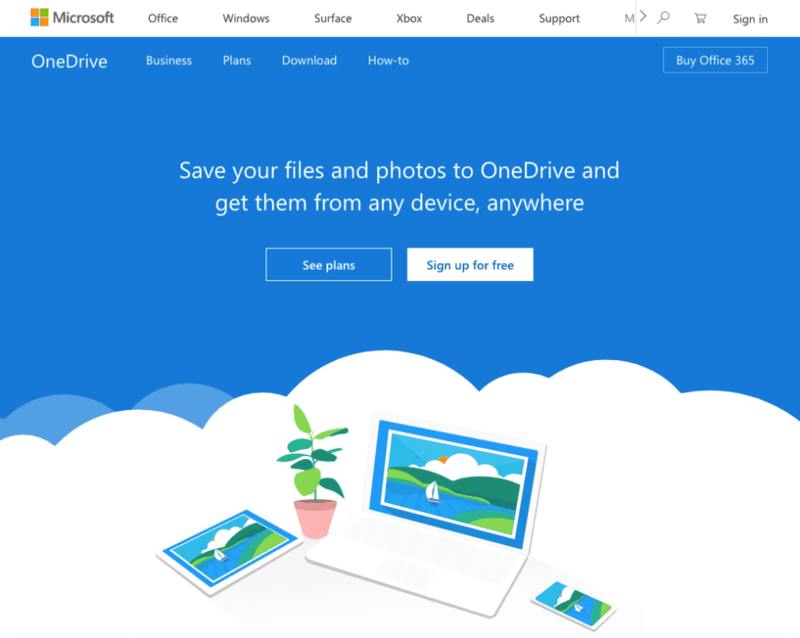 Their OneDrive program allows you to drag and drop your files directly to the cloud. Then, you can access them any time you want to. 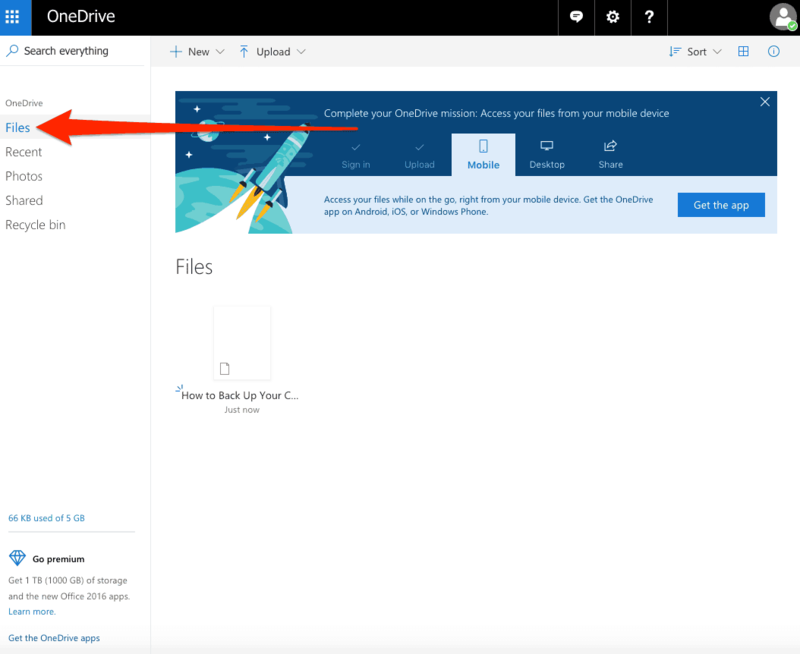 On the OneDrive site, you can create a free account. Then, you can either download the app or access the platform directly. For this article, we’ll use the OneDrive site. The process is nearly identical if you download the app. With a free OneDrive account, you can store up to 5GB of data in your folder. If you’d like to store more, you’ll need to upgrade your plan. Currently, OneDrive charges $1.99/month for 50GB of storage, $69.99/year for 1TB of storage, and $99.99/year for 6TB of storage. When the files complete uploading, you’ll be able to access them whenever you want. If you want to transfer your files from one computer to another, you can log into your OneDrive account and download them onto the new PC. Google Drive is similar to OneDrive. It’s another cloud storage service that offers you a limited amount of free space for data. The first 15GB are free. If you want more, you can pay $1.99/month for 100GB or $9.99/month for 1TB. Like OneDrive, it’s an easy way to backup all of the files on your computer. You can sign up for Google Drive on their website. You’ll need to fill out the form, select a pricing plan, and enter your payment info if you want extra gigs. If you have a Gmail address, you already have a Google Drive account. So, you can just log in and get to work. There are two ways to use Google Drive. You can download the desktop app or access it directly through the website. You can either drag and drop individual files directly into the drive. You can set up Backup and Sync. This is a Google program that allows you to automate the backup process so you don’t have to drag everything. You’ll need to download the Backup and Sync feature if you want to go this route. Theoretically, you could store your entire computer in Google Drive. But, it won’t work out that way if you don’t invest in enough storage. The average PC user has several hundred gigabytes of data on their computer. Do don’t expect to store everything in the cloud until you’re ready to shell out $9.99 each month for a terabyte of storage space. We love online backup services like Google Drive and OneDrive. They are both great storage solutions. They’re easy to use and allow you to store a bunch of data in the cloud. But, they may not be the best option. We think that local backup drives are a better way to backup your PC. Security: Unfortunately, cloud storage is notoriously vulnerable. If someone can break into your computer, they can easily access all of the important files in your cloud accounts. When your files are stored on an external hard drive, you’re the only person who has access to them. Unless the drive is stolen, no one else will be able to use it. Even if a thief does happen to take it, they’ll need your password to get in. Some hard drives, like the Apricorn Aegis Padlock, are equipped with additional security features. This portable drive is souped-up with a military-grade encryption algorithm and a password keypad for extra protection. Price: As you may have noticed, cloud storage can be expensive. While it’s nice that OneDrive and Google Drive throw you a few free gigs with your account, those aren’t going to help if you need to store big batches of files. And those monthly fees can add up quick. If you enroll in a 1TB OneDrive plan, you’ll pay $70 a year. Assuming that you don’t want them to hold your data hostage, you’ll continue to pay that $70 for every year you want access to it. That’s basically like paying rent on your files. But, you can buy your own 1TB hard drive for less than that. The SP Rugged Portable Hard Drive holds a terabyte of data and goes for around $50. 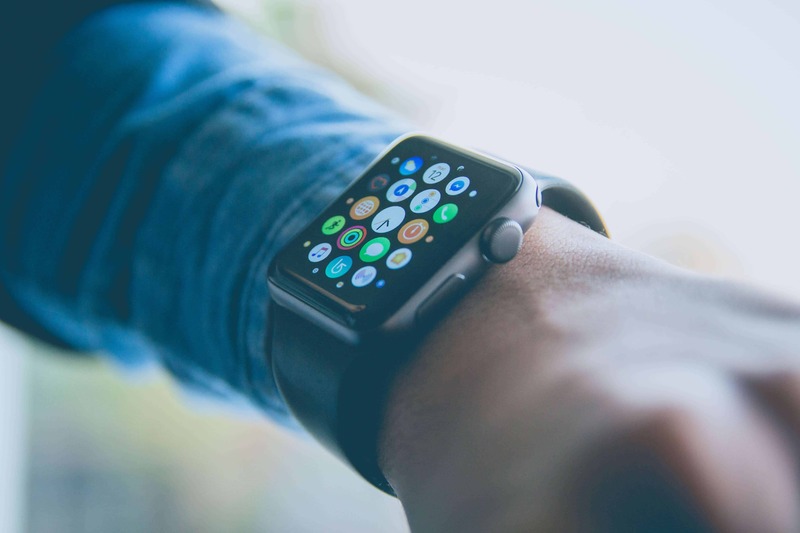 Ease of use: Opting for cloud storage means that your files are at the mercy of an internet connection. No wifi? You’re out of luck. With an external hard drive, you can access your files from anywhere, anytime, as long as there’s a USB port. All you have to do is plug your hard drive in and get to work. With a mobile storage device like the Transcend 1TB, for example, you can access your Windows backups whenever you’d like. The day is going to come where your computer has a hard drive failure. Whether it dies from old age, a spill, or you just happen to leave it on the train, it’s going to go at some point. The bottom line: Be Prepared. Take our advice and back up Windows as soon as possible. Whether you upload it all to the cloud or export it to a hard drive (or both), make sure that you have a copy.